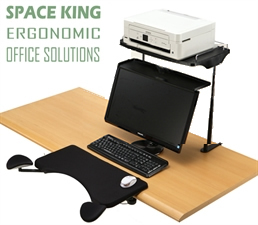 Ergonomically designed & manufactured, Space King products are durable, easily adjustable, and attaches conveniently to a desk or armrest for ease of use. By keeping the hands in a natural position, they help to relax the arm and shoulder muscles, with a healthier body posture preventing wrist pain. Visit our virtual showrooms today to view our many patented products. Sagittary Corp. now introduces the ultimate tool in Myofascial Release Therapy: the SportKing Deluxe Massage Stick. Improve work-out experience: The deep pressure self-myofascial release tool promotes circulation across the body, improves flexibility, and decreases the risk of cramps during and after exercise. Assist with recovery: Use the SportKing Deluxe Massage Stick following exercise to reduce soreness, enhancing the recovery process that is needed to build new cells. Horng Sheng Lih Co. Ltd. was established in October 1987 as a developer of ergonomic computer peripheral products for the local and international market. Committed to product innovation and Smart Product development, from our humble beginnings in the 80's, we have been awarded numerous local and US patents over the years for a variety of products aimed at making extended computer use a less painful and more comfortable experience. Our products are fully designed, manufactured and assembled in Taiwan with an emphasis on supporting local industry and approved local vendors. Quality Control procedures are considered unequaled due to our sincere commitment to providing the best products at all costs.